Tactically, I guess, it should have been expected that Jeremy Corbyn would have wanted to shore up his base before going on any attack. This is probably why his speech was aimed almost solely at the people in the hall and the people who voted for him. 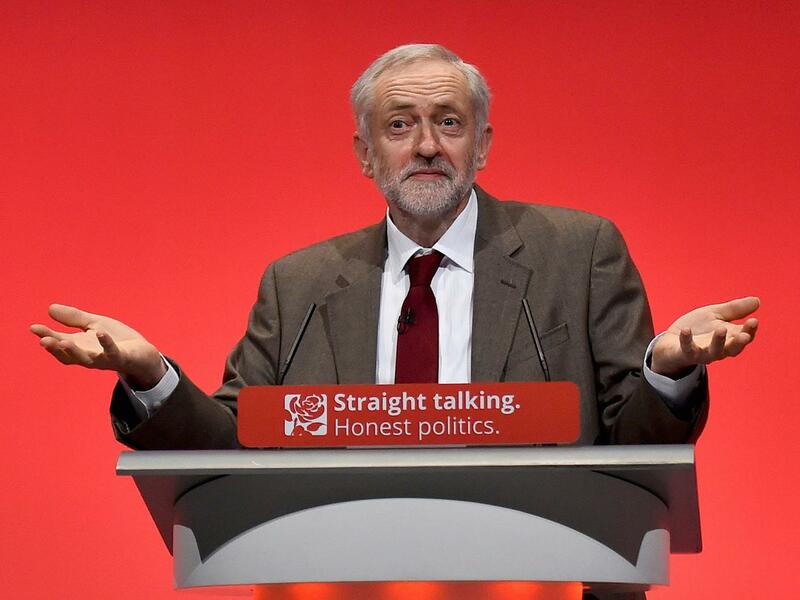 Telling the Labour Party that they didn’t need to worry that now he was leader he would just turn into a typical political automaton and would continue to campaign on the issues that were important to him, and those who voted for him was timely and quite shrewd. That said, I wonder if thirty two years of moving from one protest of the angry to another panel discussion to the already converted has meant that Corbyn lacks the ability to explain his case or persuade anyone to change their minds about the issues on which he campaigns. There was literally nothing here for ‘Middle England’, and whether he likes it or not, electoral registration problems for non-voters solved or not, he will surely need some Middle England votes to win the election in 2020. That said, this wasn’t about winning the election. This was about firing up his base so that in the local elections next year, the first electoral test of Jeremy Corbyn’s leadership, they will get out, campaign, register voters, and hopefully (I refer to the younger new joiners here) actually vote in the election. If they can really believe that he will be able to solve some of the problems on the long shopping list he had in his speech yesterday then this country really could be changed. Which is where such protection from ever having to persuade people to come to his point of view will hurt him. Corbyn talked of the “football team” with 160,000 new ‘season ticket holders’, including loads of new young members that the ‘commentariat’ had said was in trouble. They all laughed. Yet Labour got 2 million fewer votes than the Conservatives in the General Election in 2015. Not 160,000 fewer. On that subject, there was no mention of the election. To extend Corbyn’s analogy, these 160,000 new season ticket holders are there supporting a recently relegated team. Not only that, Corbyn went around the country telling people he would spend more on them, and get them paid more, so many of those 160,000 new season ticket holders are clutching free tickets. Any business can give away stuff for free to get new customers. Ultimately, in among the long rant about the injustices of today that Corbyn went on for an hour, there were some interesting political themes. To have started out demanding that the UK reconsider its relationship with Saudi Arabia was clever, as no-one could really disagree with that. The only place in which he appealed in any way to anyone outside his core supporters and the unions was when he suggested that self-employed people should get maternity and paternity leave. On the face of it a perfectly good idea, although it will mean every housewife and househusband will quickly sign up as self-employed to gain this money, and those genuinely running self-employed businesses would know that these ventures need to be funded, as would this policy. It just isn’t clear where Corbyn would get the money from to fund the litany of promises he made. He has four and a half years to get this right, but he will need to start soon.